I have been very pressed for time this week, and this looks to continue into the next week. Supply, or rather lack of it, has reached critical mass. If the Germans do not get any supply, their defense ratings drop to 0, and the Norwegians will easily overrun them. I realized after I had started the German turn that I neglected to move the Norwegian trucks fleeing from Oslo during the exploitation phase. They are exposed, unprotected, and prime targets for an air assault. 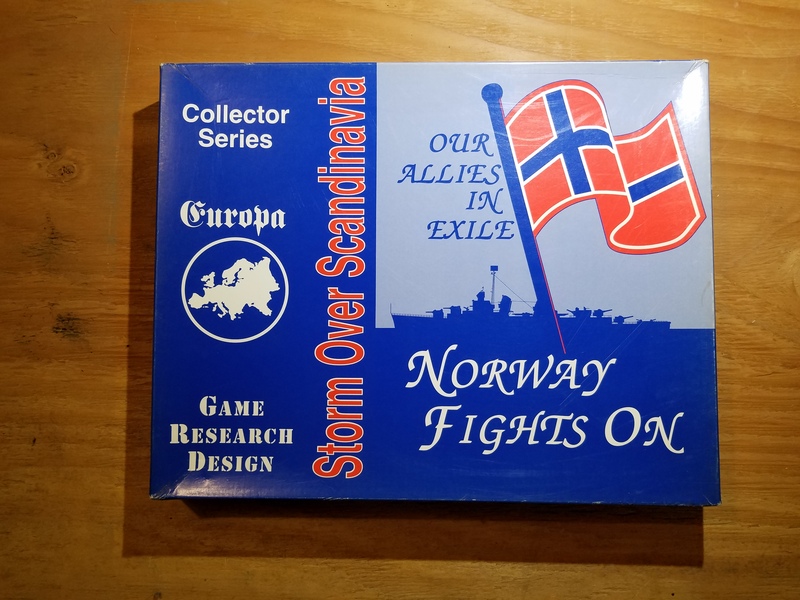 I found the GDW Narvik rulebook that I (*cough* *cough*) misplaced. In the older version of Narvik, the German supply depot that appears in Sweden receives 4 MP and can move independently. In the new game, it receives an extra movement point.